Google has moved to help diabetes patients monitor their blood sugar level by partnering with pharmaceutical company Novartis to develop a smart contact lens that builds on the technology used for the Google Glass wearable computing. The partnership opens potential stream for billions of dollars in revenues for the search giant and the pharmaceutical titan, all being promised by the health information technology market. Patients who are burdened by the necessity of regular clinic visits will also be able to avail of remote consultation services from their doctors through the innovative technology. That’s on top of other services in health monitoring, robotic treatments and electronic diagnosis that are finding their way through medical institutions. In those areas, there is huge potential for Google to also leverage its three-dimensional mobile capabilities and health record digitization to pursue untapped market opportunities. Well, Google may well have already entered into that market following the launch of Google Fit, a platform for users to monitor their daily body activities, such as sleeping, exercise, walking and other routines to keep one’s health in good shape. Nonetheless, its close rivals Apple and Samsung have also unveiled something to tackle those market opportunities. The smart contact lens under the fresh agreement, which has been signed between Google and Novartis Alcon eyewear division, will incorporate low-power microchip with electronic circuit that is the size of a thin strand of hair. It is through this microchip that the lens works to determine a patient’s blood sugar level by analyzing data from the tear fluid and transmitting the information to an accompanying mobile device that will then display the result for the user. That’s pretty much easier to do than regularly visiting your clinic, although constant check-ups with the doctor provides the best way for treating the disease. Besides, as a diabetes patient, you would surely prefer to monitor your blood sugar level with the use of a contact lens rather than having to prick your finger for droplets of blood for testing. 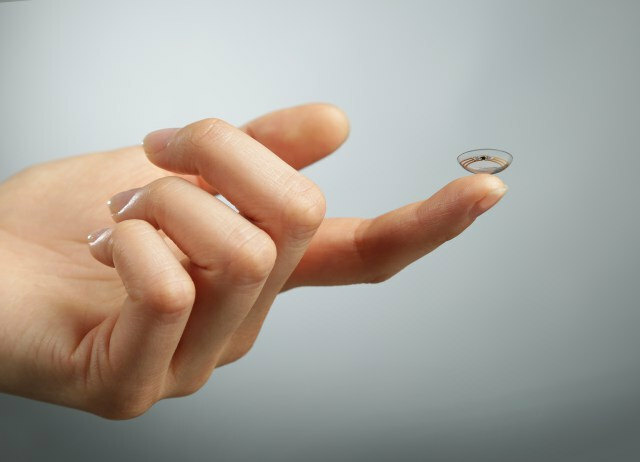 The partnership between Google and Novartis also opens the door for future technologies that Novartis chief executive Joe Jimenez believes will help map other diseases in the body, and the smart contact lens is just the beginning of it all. In this way, human diseases can be managed efficiently and with the capability of treating them at an early stage. On the business side, Jimenez views the possibility as a source of large growth in future endeavors.